Good value for price and quality. Can't find any fault. Thanks for delighting us. Recommend written by mobile 感觉皮箱外表不够坚固! excellent condition. Nice customer service and timely delivery. prefer to buy online more. Happy with purchase but just disappointed without any operation manual to change the lock no. Pls be more careful with such next time. Good and sturdy quality. I like it very much. Fast delivery, item looks solid but one corner got a small dent. Overall still a good product. Fast delivery.item ordered yesterday and received today.very satisfied. Delivery was pretty fast. Came in wrap, no damage. Look pretty decent product for the price. Do u hv 26 luggages? either polycarbon or aluminium can do. Tks. Hi, sorry we only carry 20/24/28 inch luggage. Thank you. Do you have any tracking number for my purchase? Hi, all orders placed through Qoo10 will have a tracking number issued by Qxpress at the end of the day after they collect the parcels from us. Thank you. Are you open today for Self collection? 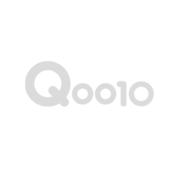 Hi, for self collection we need to inform Qoo10 and wait for their response before you can self collect. We are open till 1pm today. Thank you. Hi, please drop us a mail at sg.luggage.outlet@gmail.com with the size and colour you wish to get. Thank you. Email sent, please response quickly with address as 8 need it today。is 20% discount applied? size to see whether can fit in as existing I am using echolac brand . Hi, it measures 69cm*48cm*32cm. Please drop us a mail at sg.luggage.outlet@gmail.com if you wish to see the item at our warehouse in Yishun Industrial Park A. Thank you. Do you have any hard briefcase inner size 49cm x 38cm x 16cm ? Hi, you may wish to consider our 24 inch luggage. Thank you. Hi, need this on Sunday. When can I get this if place order today? Hi, we can dispatch today if we receive your order by 10am and it'll be delivered to you by Qxpress most likely tomorrow. Thanks. Hi, Sorry, didn't checked it reply just now. Can placed order now? Hi, you can, but it might be delivered on Saturday instead, depending on whether Qxpress is willing to take more parcels from us. Thanks. But Qxpress normally don't deliver on Saturday. They do, from 10am-4pm. You may wish to call 66619100 to confirm. Thank you. Premium Aluminium-Framed Hard Shell Trolley Luggage with TSA Standard Lock / 3 Sizes Available.